Today on Bibliophilia, Please, we have the author of Unconquered - J.D. Davis. He was kind enough to answer a few questions, and I hope you enjoy his answers. Also, after the interview, be sure to check out the great gifts you can receive for purchasing the book! Three cousins, inseparably bonded through music. Each became a star; their story would become a legend. 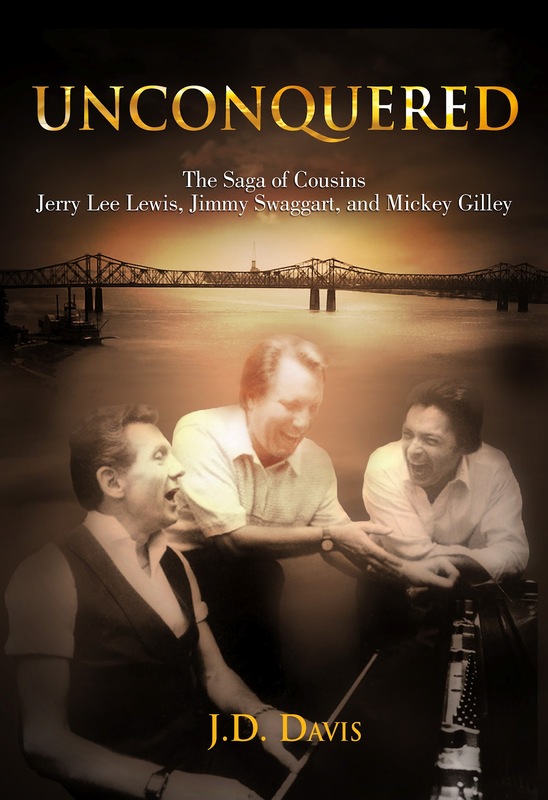 J. D. Davis's enthralling new biography of famous cousins Jerry Lee Lewis, Jimmy Swaggart, and Mickey Gilley, born within a twelve-month span in small-town Louisiana during the Great Depression, draws from exhaustive research and personal connections with friends and family. Davis recreates the irresistible and life-changing power of music that surrounded the cousins as boys and shaped their engagingly distinct paths to fame. With three personal journeys set alongside important landmarks in pop-culture history, Davis presents a unique tale of American music centered on the trials, tribulations, and achievements of three men who remain truly Unconquered. What inspired you to write Unconquered? After reading extensively about these men, visiting their hometown, and getting to know their family members, I realized there was a fascinating story to be told. While much had been written about them – particularly about Jerry Lee Lewis – I found, to my surprise, no one had ever integrated their three lives together. The way their stories interlock really is the compelling story, in my opinion, and I feel privileged to have been able to tell it. How old were you when you first became aware of Jerry Lee Lewis, Jimmy Swaggart, and Mickey Gilley? As a child, I heard Jerry and Mickey on country music radio stations (Jerry’s airplay by that time had transitioned largely into country music, from rock ‘n’ roll). Their singing was great but it was their piano playing that really drew me in. My father watched Jimmy preach and play on television and I remember hearing Jimmy’s music every Sunday morning as I sauntered in and out of the living room. When did you first become aware of their story and the fact that they were blood cousins who grew up together in the Deep South? Most writings on any of the three touch on their family relationship – though they do so briefly as the focus is always on one of the cousins. So I was aware early on that they were related. However, over the years it struck me that each of their stories becomes more interesting when you consider their lives collectively. I thought it was important to write about the bonds between them: their similar upbringing, the influences they shared, their disparate responses to the world around them. These things explain their lifelong ties to each other and the separate paths they ultimately took. For instance, when Jerry Lee became successful in 1956, Jimmy and Mickey were squeezing out a living performing grueling manual labor. While further exposing their own struggles, it also inspired them to find their own paths to success. To fully understand each man one needs to consider their relationships to one another. A number of family members contributed to this book. How were you able to get them to open up and discuss these men? I think my genuine interest in and knowledge of the three men contributed most to gaining the confidence and trust of their friends and family members. If I had shown up with only a cursory knowledge of the men and the appearance of only wanting a “good story”, it would have been apparent to the people who know them best. In all but a few cases, any hesitancy I encountered quickly dissipated as my positive interest in the men and their families readily shone through. One of the highlights of this effort for me has been the forging of strong bonds and friendships with many of the people closest to these men. I am deeply appreciative of that. "Conquered Unconquered" was a game the cousins played as young boys. Can you tell us what it entailed and the significance of how it has impacted their lives to this day? In “Conquered Unconquered”, one of the boys would perform a daring stunt and the others would have to follow suit or be “conquered.” Whether it was jumping from boxcar to boxcar or the executing the latest death-defying feat on their bicycles, each of the cousins was always looking for a chance to come up with a new, amazing feat that would best the other two. Through the course of their lives and careers, these three men have experienced numerous peaks and valleys. Nevertheless, the same dogged determination to never give up – to never be “conquered” – has kept each of them moving forward, meeting new challenges and scaling new heights. Now, all three have passed the three-quarters-of-a-century mark, and each remains truly unconquered. Who you expect this book to appeal to more? People of all ages and both genders will appreciate the complete story of these three remarkable cousins and the many fascinating events in their lives. I have been a fan of the music of Jerry Lee Lewis, Jimmy Swaggart, and Mickey Gilley much of my life. I spent several years researching the lives of these men for my book. I was raised in Quitman, Texas, a quiet community in the piney woods of East Texas. I earned a bachelor’s degree with highest honors in economics from the University of Texas and later received a master’s degree from Southern Methodist University. 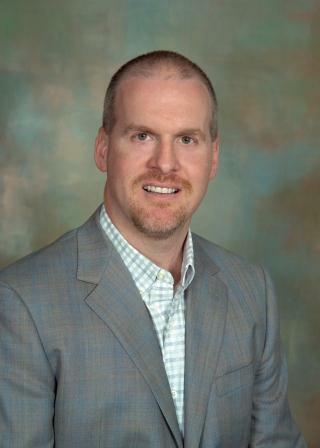 A successful businessman and entrepreneur, I achieved the rare distinction of partnership in my twenties at a major actuarial consulting firm where I continue to manage a large consulting practice. I have three daughters and live near Dallas, Texas. Professionally, I manage a retirement consulting practice that is based in Dallas, Texas and covers much of the Southern United States. Personally, I raise three daughters whose ages range from fifteen to eleven years, I generally exercise five days per week, and in recent years have traveled extensively to conduct research and interviews for the book. One’s best ideas generally come from concentrating on topics in which he or she is interested. At least that is true for me. I enjoy a myriad of authors and books but wouldn’t say any one influenced me in a particularly noticeable way. Being an unknown writer – which every author has been at some point – creates certain obvious challenges, particularly in today’s publishing environment. With so much in flux in the publishing industry, big-name publishers are understandably going to gravitate to better-known authors with better-established platforms. In addition, because the subjects of the book have experienced some controversy, there was a fair amount of pressure from publishers who wanted more incriminating information in the story, which I was unwilling to provide. We are taking a detailed, multi-faceted approach to marketing and promoting this book. We are fortunate to have the budget to “do it right” and give the book every chance to reach a large audience. Our strategy includes author interviews, reviews, feature articles, book signing events, extensive use of online and social media avenues, as well as print and online advertising. There are countless things I would do differently. However, you have to accept that, like everything substantial that you do for the first time, it is a learning process. The “hits and misses” experienced are an essential part of writing one’s first book. Thanks so much for answering these questions, J.D.! Unconquered goes on sale today and can be purchased on Amazon and Barnes & Noble! J.D. Davis was raised in Quitman, Texas, a quiet community in the northeast part of the state. Davis attended the University of Texas on a full academic scholarship, received a B.A. with highest honors in economics, and was elected to Phi Beta Kappa. He later received a master’s degree from SMU. You can find J.D. Lewis on his Website and Twitter. This is an interesting sounding book.